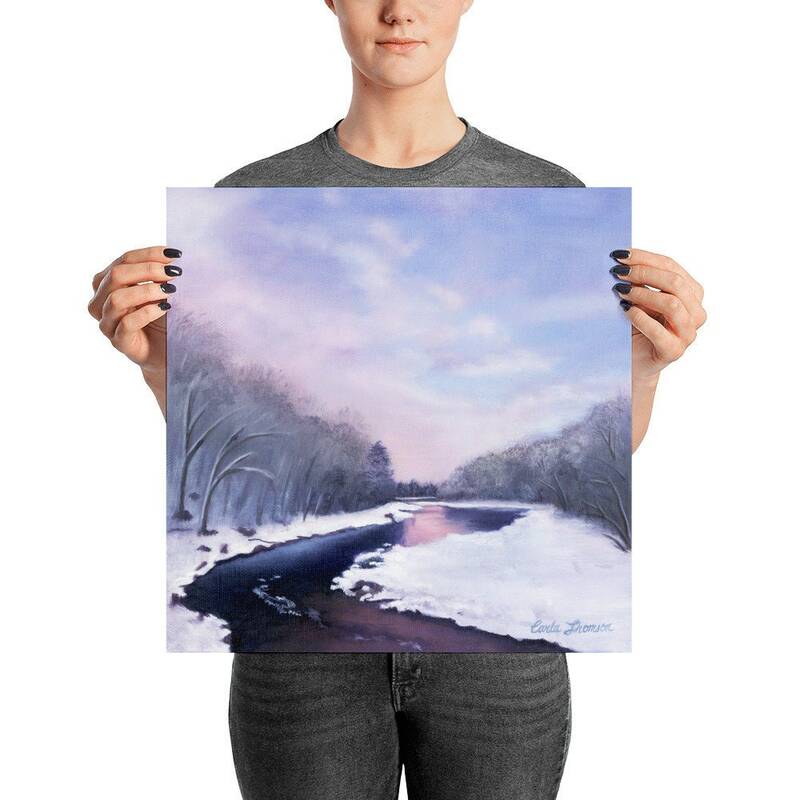 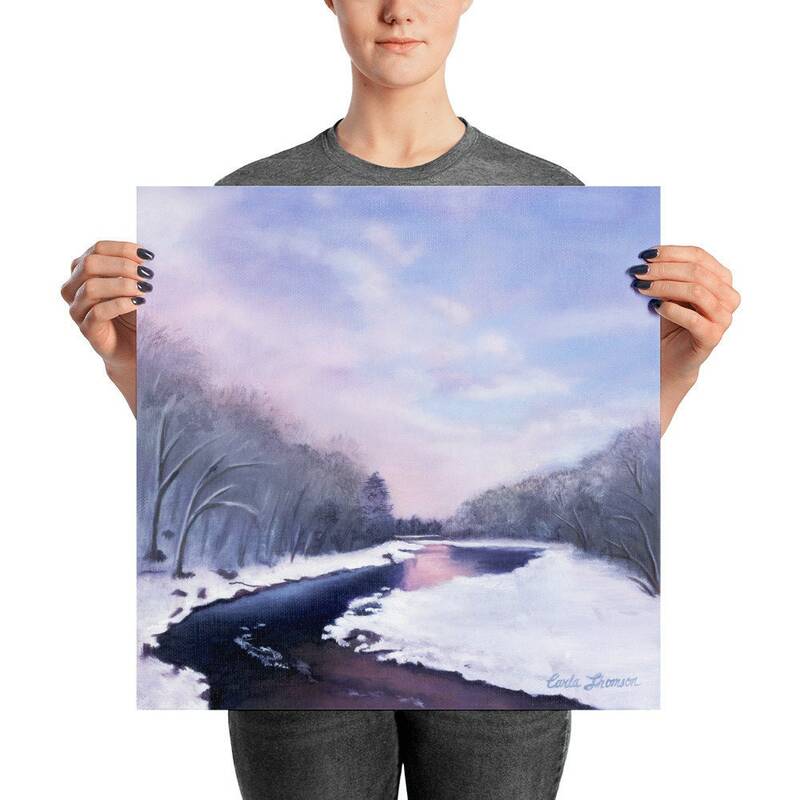 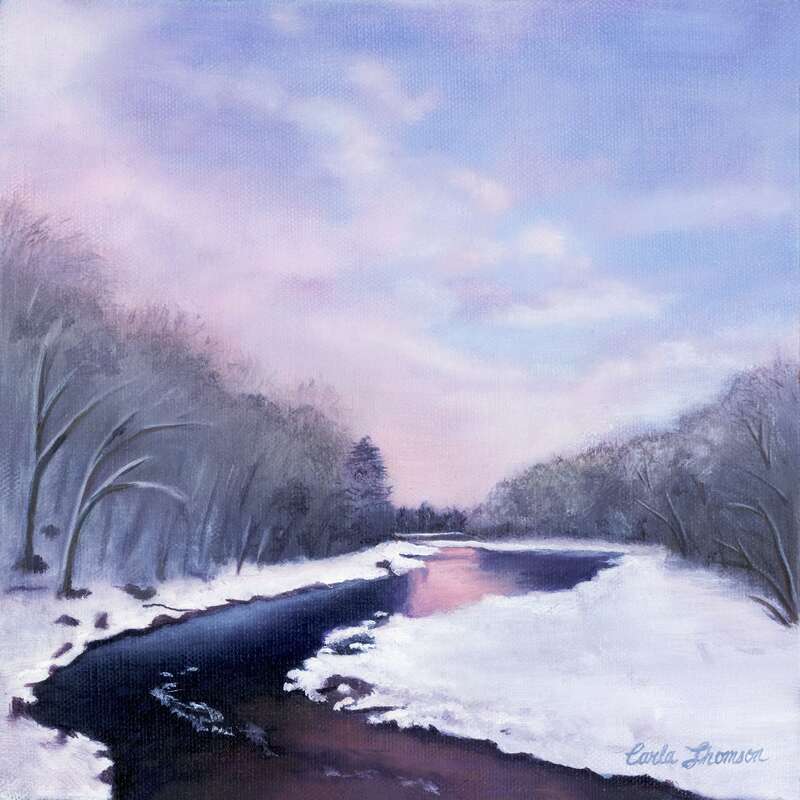 Wall art print of an original winter landscape oil painting of a snowy riverbank. 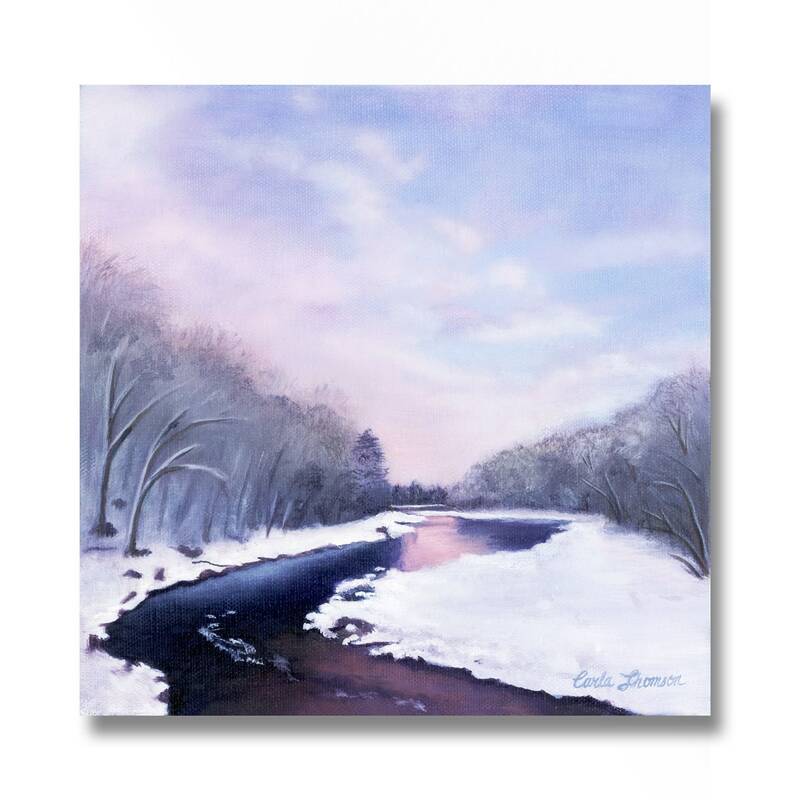 The fleeting pink, purple and blue colors of this snowy landscape painting forever preserved on canvas. 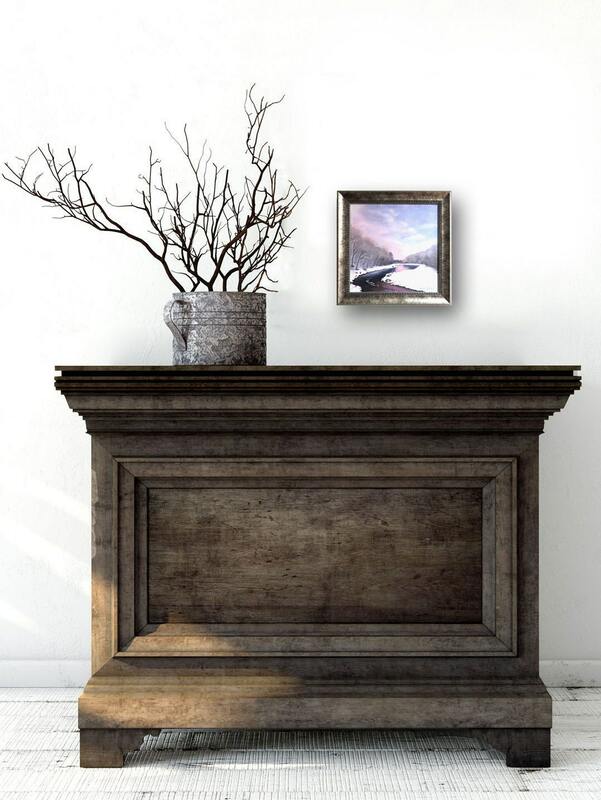 This serene atmosphere in this painting will bring a breath of fresh air to your walls or desk. 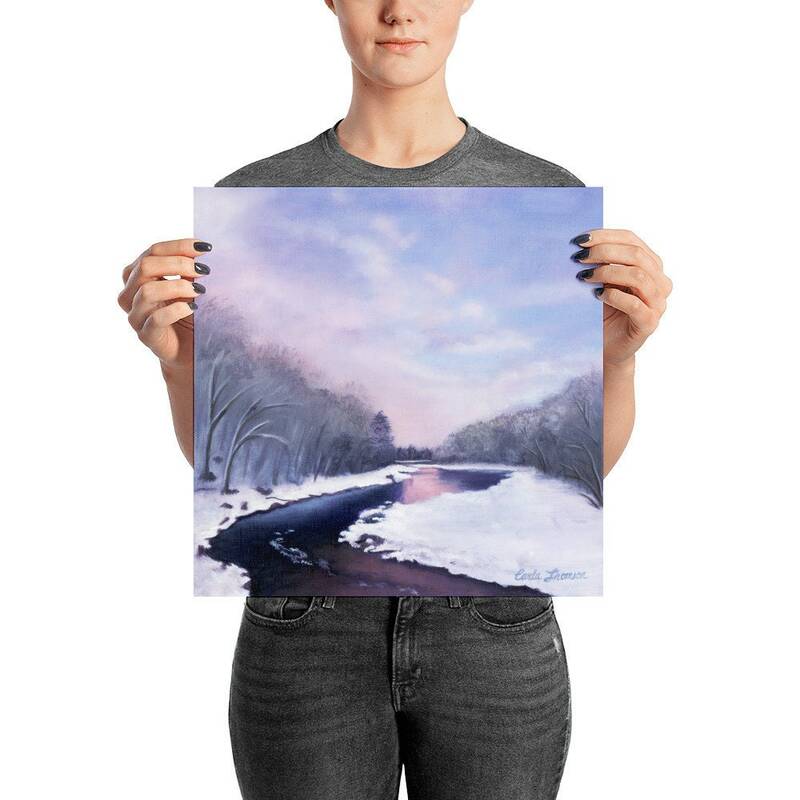 Living in New England brings its fair share of inclement weather, especially during the winter months. 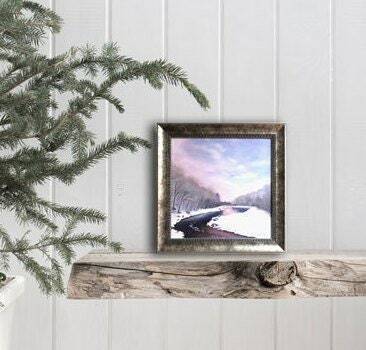 Last year had a particularly daunting snowstorm hit however, it left our yard and town looking like a pristine winter wonderland. 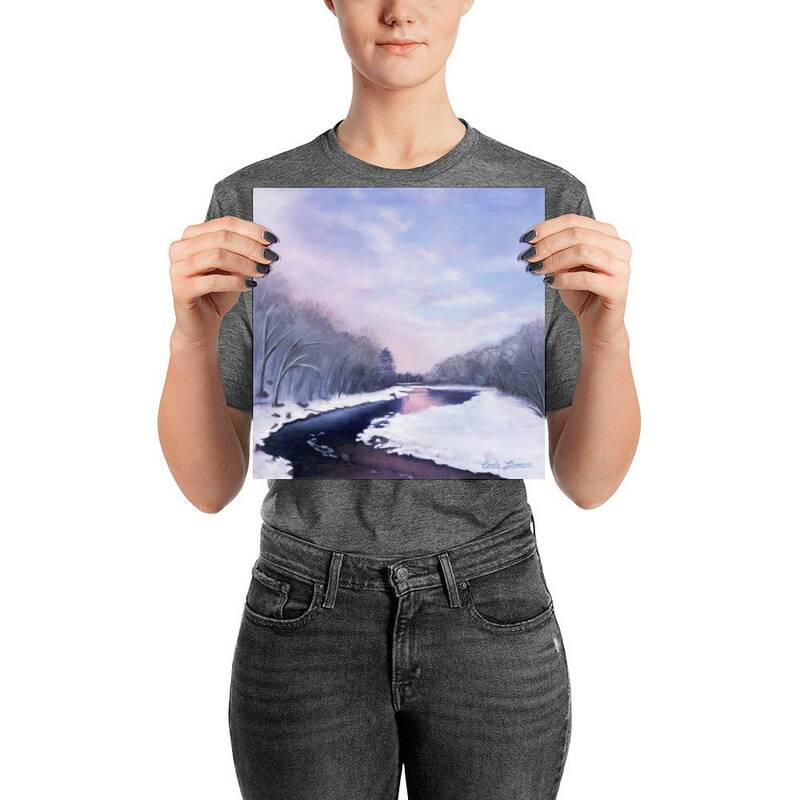 After taking a look out the window and seeing the white snow covering the ground, weighing the ground and crystallizing the earth, I had to head out for some pictures. 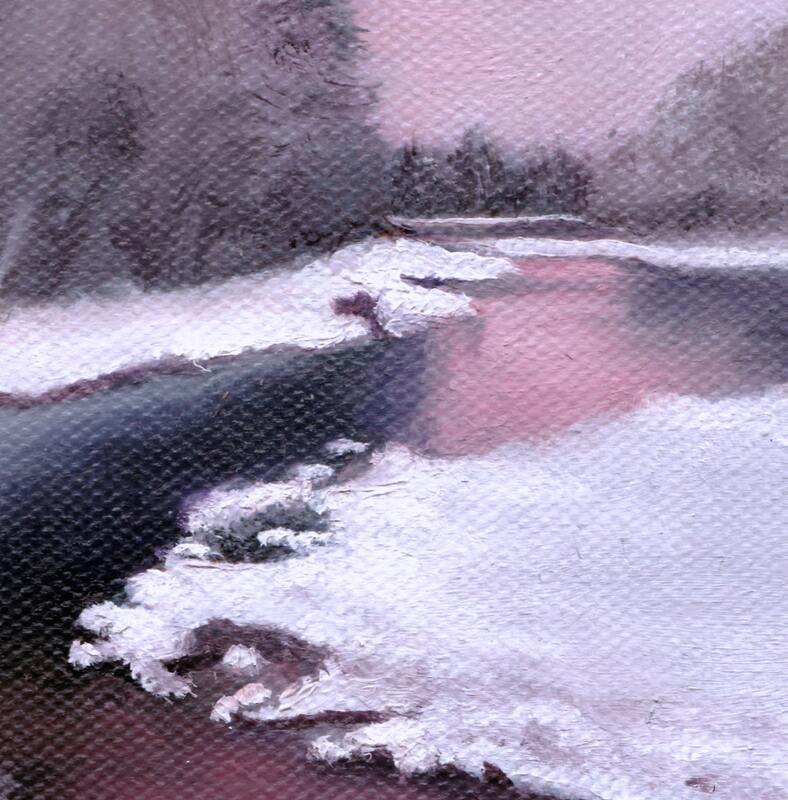 This particular painting was inspired by an inlet to a local reservoir lit by a beautiful pink and purple sunset.